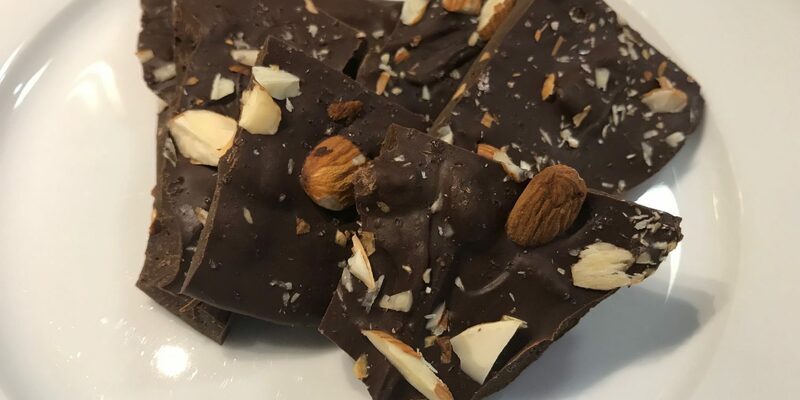 Tempering chocolate is a precise process that raises chocolate to a specific temperature and then cools it to a specific temperature so that it’s easy to work with and cools properly. Here’s what my bark looks like when I first spread it before it cools. When chocolate is tempered is doesn’t turn white as it ages, it hardens properly when it cools, and it cracks with a snap as you break it. There are high tech chocolate temperers, but for our purposes, we can simplify the process. Once your chocolate is melted, remove it from the heat and stir in the rest of your chocolate. This helps cool the chocolate and lower the temperature. Use immediately since the chocolate will continue to cool as it sits. You can use a thermometer if you want to be precise. Each chocolate (milk, dark, and white) has different temperature requirements. But I find that this quick method usually gets the job done for a bark. The great thing about flavor combinations is that they are endless. Ginger spice felt very fall to me and I like it. But if it’s not for you don’t throw the bark idea out the window. Those are some ideas. 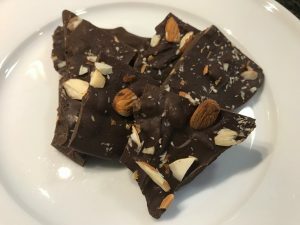 The beautiful thing about bark is that you can make it your own! For another healthier Halloween treat option check out Homemade Dark Chocolate Cashew or Peanut Butter Cups. Yum! Sooo easy to make!! Toast almonds at 400F for 5-7 minutes. Melt 12 ounces of the chocolate, vanilla and chai spice or cinnamon in a double boiler over low heat. 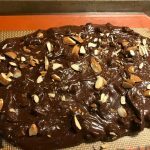 As chocolate melts chop ginger and almonds. Once chocolate is melted and other ingredients are incorporated stir remove from the heat and stir in the rest of the chocolate. Stir until all the chocolate is melted. This is a low maintenance way to temper your chocolate. Stir in the ginger and half of the nuts. 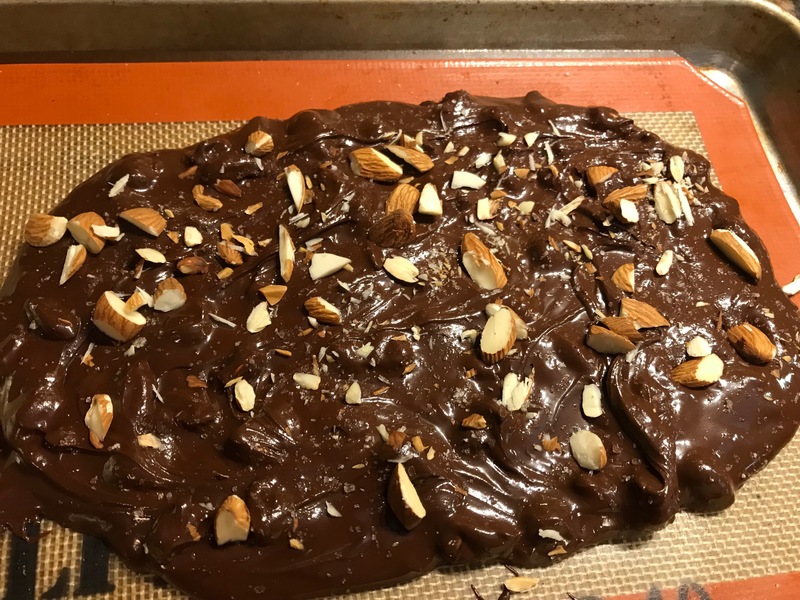 Immediately spread chocolate mixture onto a Silpat or parchment lined half sheet pan. Sprinkle the rest of the nuts on top. Let set and cool. Pop into fridge to expedite. Once set break or cut into pieces. Serve and enjoy!